There was never a storage war. Manufacturers seemed to be content to bring 8, 16 and 32gb variants with only the hardware daring to go further. Why both we the customer can go out a purchase a an SD card to expand as little to no expense for the manufacturer. Few grumbled with only those looking a cheap phone with 4 or 8gbs becoming infuriated. Recently, we have seen manufacturers becoming creative when it comes to including the SD card in a combined storage solution and others hoping that the cloud to solve the storage starved. On of the less popular flagships out there, the Zenfone 2, is about to be produced in a Deluxe Special Edition versions with specs identical to the high-end version of the original Zenfone 2, 4GB of RAM and a faster Atom Z3580 processor, with the a mch greater storage capacity. A 256GB version will be available in two colors, one with a diamond-pattern back and another with black and grey diagonal stripes. Both get orange trim around the front screen and navigation panel and around the volume buttons on the rear. The device also includes a mircoSD card slot that supports up to 128gb cards. The diamond rear is very reminiscent of the old HTC Touch Diamond from years gone by, a few with many merits however I seem to remember the back design not being one as the phone was prone to rocking when used on a flat surface. 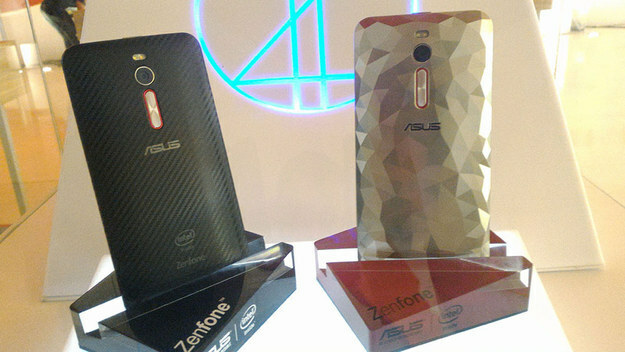 At any rate this is an exciting addition to the Zenfone line and I hope to have a look at this in the near future.